REVEALED: Jose Mourinho’s incredible scouting report for Chelsea taking on Barcelona in 2006, focusing on ‘constant cheater’ Ronaldinho and the ‘amazing’ 18-year-old Lionel Messi, where the only way to stop him is to kick him! Just how can you stop Lionel Messi? Managers across the world have only ever failed to come up with an answer that is more substantial than Jose Mourinho’s at Chelsea all the way back in 2006. The notes he compiled, with the help of Andre Villas Boas, ahead of their their last-16 Champions League clash with Barcelona in 2005-06 have emerged, detailing the incredible depth he went to in profiling the Spanish giants. His report highlights an array of potential weaknesses to target, including the ‘aggressive but emotional’ Carlos Puyol, who has ‘bad positional sense’ and ‘gets crazy with the referee with fouls against him and goes mad in provocations’. Puyol’s fellow defender Oleguer, meanwhile, ‘is defensively poor, has no pace… ideal target to pressure’. Yet for Messi? The notes say ‘foul him. Important to do it outside the box and as early as possible. Amazing 1vs1’. The instructions were clearly heeded, especially by Asier del Horno who was sent off after 36 minutes for a brutal high-footed challenge into Messi’s thigh. 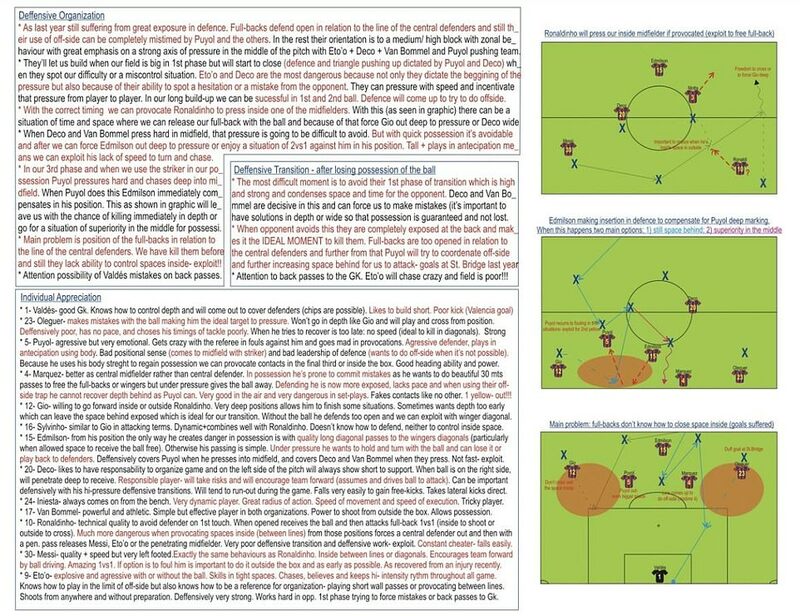 Mourinho’s notes refer to how it was important to ‘control the pressure they put on the referee and linesman (very important also our pressure! )’ but they couldn’t have had too many complaints over referee Terje Hauge’s decision to dismiss Del Horno. Yet, as has been the case throughout his career, Messi wasn’t kicked out of the match and produced a masterful display to inspire a 2-1 victory in the first leg at Stamford Bridge. 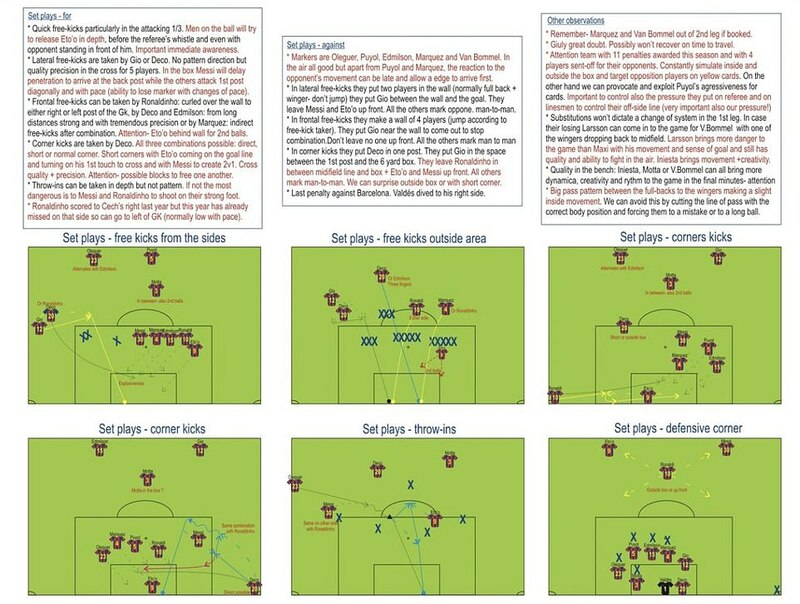 Mourinho’s report highlights how Messi has ‘quality + speed but is very left-footed. Has total freedom and often ends up on the opposite side to create 2vs1 with Ronaldinho. Ronaldinho, meanwhile, did not receive quite as much respect from Mourinho. 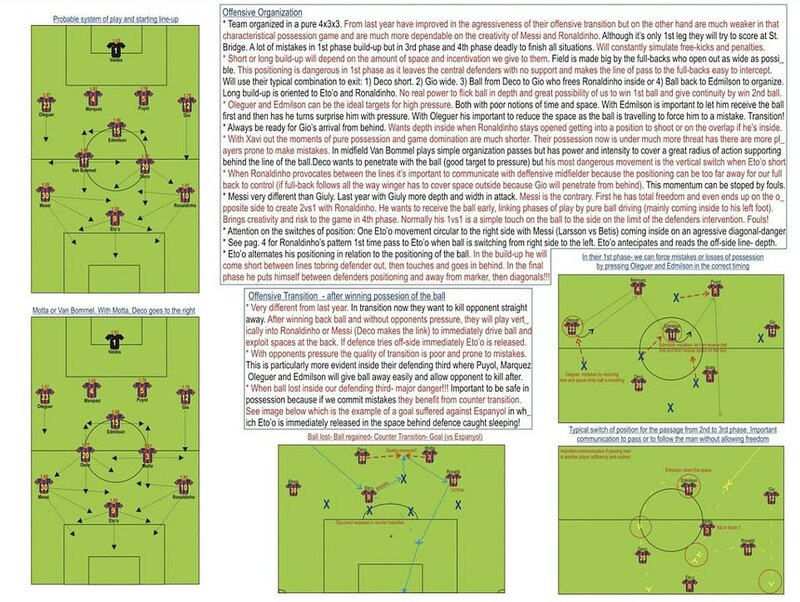 Xavi was absent for Barcelona, so Mourinho was anticipating a different setup in terms of their regular possession-based style of play. 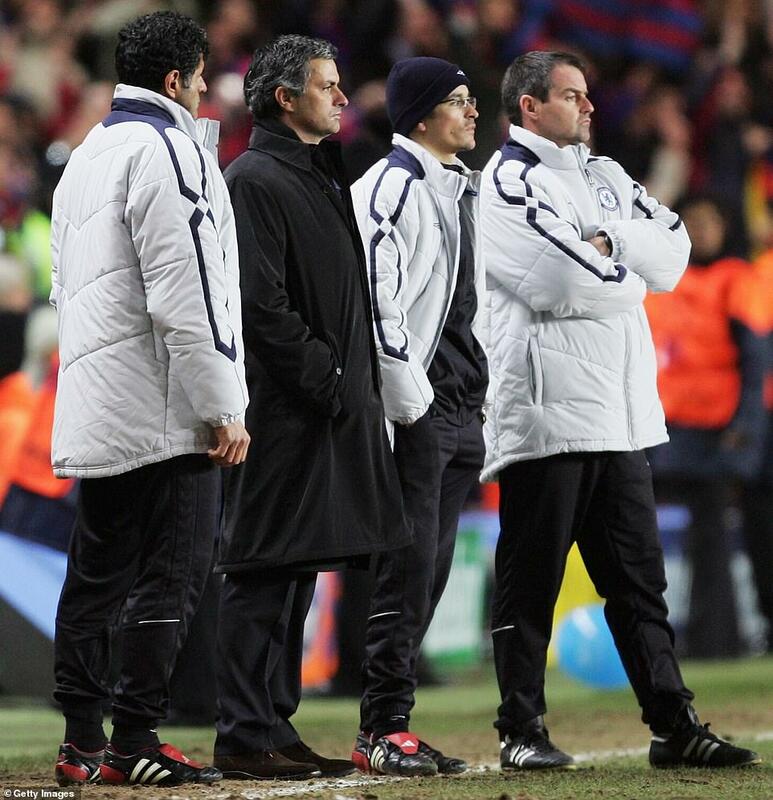 Mourinho also underlined his respect for Andres Iniesta, who he correctly predicted would come off the bench. Iniesta came on for Deco in the 84th minute, by which time Barcelona had already carved out their 2-1 lead. Chelsea, despite going down to 10 men through Del Horno’s first half dismissal, went ahead when Thiago Motta scored a 59th minute own goal. But Chelsea captain John Terry put through his own net as Barcelona levelled with a crucial away goal, before Samuel Eto’s 80th minute effort gave them victory. 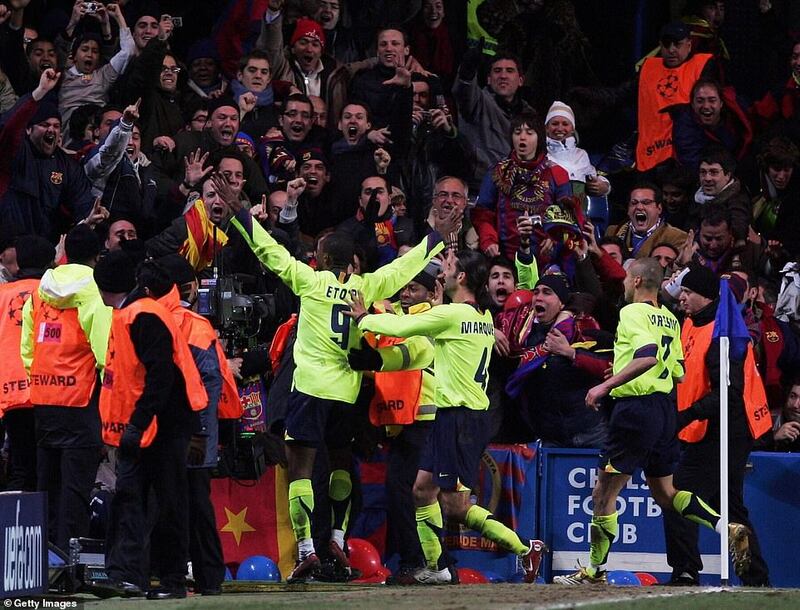 Chelsea drew 1-1 with Barcelona in the second leg – Ronaldinho scoring for Barcelona first and Frank Lampard converting a stoppage time penalty for Chelsea. Barcelona went on to win the Champions League, beating Arsenal 2-1 in the final.